Pour all ingredients into shaker tin, add ice, and shake hard. Strain into a chilled Coup glass, and garnish with fun Grapefruit peel cutouts. Moxy - Minneapolis Uptown is the first of two planned Moxy Hotels in Minneapolis, which promise "all the comforts of your own living room but with the exciting action of a backstage pass." The design is "rock-chic," featuring a full bar and sidewalk patio. 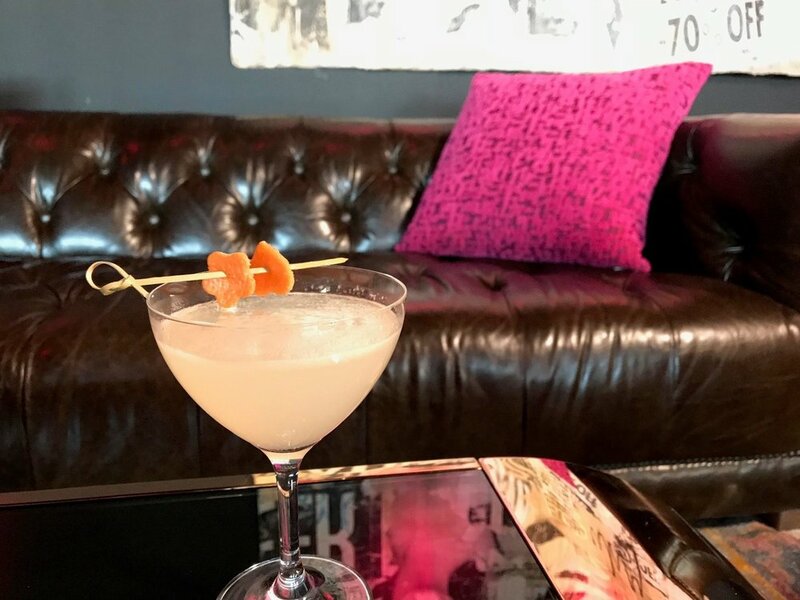 Cheeky and well-made craft cocktails, and a daily happy hour from 4 until 7pm, will ensure this becomes one of Uptown's newest hot spots.